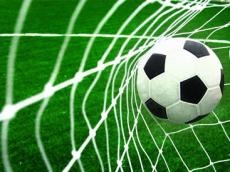 Association of Football Federations of Azerbaijan jointly with Georgian Football Federation expressed its interest in hosting UEFA European Football Championship 2020 and declared about its readiness to enter the tender race. The format of UEFA EURO 2020 has been changed according to the recent decision of UEFA Executive Committee. A few European cities will host the UEFA EURO 2020 instead of “one or two host countries” format existed before. "During previous meetings with UEFA representatives and other member associations our Association clearly supported this innovative idea since we do believe that hosting this great event in various European cities will bring this festive event to many countries and allow all the spectators in these countries to feel entirely the great spirit of the Game. Considering the change of the UEFA EURO 2020 format, Association of Football Federations of Azerbaijan made a decision to nominate Baku city as one of the candidates to host this event and participate in the bidding process. Baku city for the last few years transformed into modern city prepared for hosting great international events. As samples we can highlight the biggest European song contest “Eurovision” and fascinating FIFA Under-17 Women’s World Cup Azerbaijan 2012 that is remained in the hearts of the guests and habitants of the city as one of the unforgettable football memories. A proper road infrastructure with new and wide highways, affordable public transport and one of the best architecturally shaped metro system (with 23 stations) are available for the guests in our beautiful city. 2012 is not only featured as the year of big events but also as the year of launching a number of five star luxury hotels such as Hilton Baku, Four Seasons Hotel, JW Absheron Marriot, Jumeirah Beach Hotel and etc. International Haydar Aliyev airpot has recently been rennovated and the construction of the new airport building started. Also numerous newly opened restaurants and cafes are ready to serve city guests. One of the most important football related moments highlighted last year was the laying foundation of the new Olympic Stadiums with the total seating capacity of 65 000 attended by the State President H.E. Ilham Aliyev, FIFA President Mr. Joseph S. Blatter and UEFA President Mr. Michel Platini. The completion of the stadium is scheduled for 2015. We would also like to mention about the availability of sufficient number of the stadiums and training pitches with natural and artificial grass. Recent FIFA Under-17 Women’s World Cup Azerbaijan 2012 hosted with the great support from state authorities became one of the exemplary one. We are convinced that with the valuable cooperation with our government our city will properly compete with other candidates for hosting European Football Championship 2020. Taking all the above mentioned points into account, AFFA president Mr. Rovnag Abdullayev entrusted AFFA General Secretary Mr. Elkhan Mammadov to start preparation of the relevant documents for further bidding procedure and submit the list of working group. "